Social Entrepreneurship builds on the business innovation, creativity and flexibility of traditional entrepreneurship and enhances it with a social solutions perspective. Its effectiveness is not solely measured by profits distributed to shareholders, but by social impact felt in communities. As such, a new corporate structure, the social enterprise, was born. This entity, which can be structured either as a for-profit or non-profit, considers the impact of its decisions on communities, the environment and employee welfare. Social entrepreneurship allows businesses to step in and address social ills where governments no longer have sufficient resources to provide sustainable solutions. Businesses now use their positions to fund social issues where government from all levels -- municipal, state and federal -- are no longer able. Unlike traditional nonprofit sectors, social enterprises create and distribute profits to individuals and provide incentives to workers while making sustainable contributions to their communities and the environment. Social entrepreneurship is stimulating a different way of thinking. There's a shift in the business mindset from an economic standpoint. 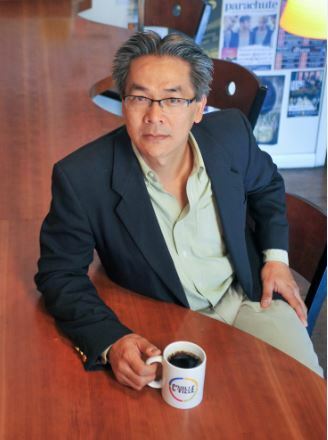 One strong example of this shift is emerging in Charlottesville, Virginia under the leadership of Toan Nguyen, Founder of C'ville Central. Nguyen's vision is to enhance the economic growth in Charlottesville in a way that benefits the small business owner so that they can afford to live and prosper in their community. To achieve this, C'ville Central creates connections between local business owners and Charlottesville's larger institutions, such as the University of Virginia (UVA). Typically, UVA outsources contracts to larger, out-of-town firms that can handle not only the negotiations, but sizeable contract as well. Since inception in the spring of 2013, Nguyen has connected several self-employed business owners with six local entrepreneurs netting revenues of over $100,000 to date. Nguyen sees this as a viable way to keep jobs and revenues within Charlottesville and as a way to help start-up or struggling entrepreneurs succeed. A few years prior to the inception of C'ville Central, Nguyen gathered several dozen key leaders in the Charlottesville community and together they formed a training program that walks participants through the steps toward entrepreneurship. Community Investment Collaboration (CIC) is a program whose mission is to "provide an opportunity to entrepreneurs who may lack the social, economic or educational wherewithal to establish a new business, but who have the motivation and creative drive to pursue success." Not long after graduates came out of the CIC program, Nguyen saw the need for an additional step, and that's when he launched C'ville Central. Since then, one of C'ville Central's biggest success stories is Terry Lee Jones, who started a part-time business painting houses back in high school. With the shift in the economy several years ago, Jones had been struggling to find work and to make ends meet. Knowing he had to take his business to the next level in order to succeed, Jones signed up for the CIC program and joined C'ville Central after graduating. While in CIC, Jones gained knowledge and understanding of critical business skills, such as bookkeeping, but was most excited about joining C'ville Central so he could increase his revenue, ultimately giving him funds to actually keep track of. The decision paid off rapidly when Jones went from having annual revenues of $17,000 to earning over $10,000 in his first month with C'ville Central. As the gateway to jobs with larger corporations, C'ville Central handles contract bidding, negotiations, invoicing and overall project management for smaller enterprises Community members, such as homeowners and other businesses, are seeing the benefits in that they know and trust C'ville Central as their "go-to" for a job, and the contractors are taking pride in their work. They can focus on what they love to do while C'ville Central handles the administrative work. The contractors, the community and C'ville Central see it as a win-win-win situation. Nguyen strong interest in how other communities are benefiting from doing similar programs, lead to plans to take his team on the road this summer. Nguyen, along with a group of Charlottesville's talented writers, photographers and business leaders, will travel cross country for a two-month journey. "We are going on the road this summer to visit organizations nationwide such as Café Reconcile in New Orleans, Homeboy Industries in Los Angeles, Delancey Street in San Francisco and Evergreen Co-Op in Cleveland, that are assisting individuals in becoming self-sufficient. We will visit 20 cities in two months and we will bring back all that we learn to C'ville Central and the Charlottesville community," says Nguyen. "Charlottesville is ready for a transformation in this space. Charlottesville has so much talent. It has so many means. And, it also has the heart," says Nguyen. "Through this trip, we are going to inform our community on how to take the next big step." Nguyen ultimate goal is to involve the area's largest institutions, including the three most notable: the University of Virginia, Martha Jefferson and Piedmont Virginia Community College. C'ville Central's proudest day will be when these organizations utilize the skills of local entrepreneurs by contracting jobs through C'ville Central rather than outsourcing to out-of-town or even local but larger companies. That's when he'll know the underdog won one. In the interim, Nguyen's work is winning recognition. One such recognition comes from Main Street USA's Virginia region, where Nguyen will be a keynote speaker for the March luncheon, which celebrates the organization's recent year of private investment in downtown businesses and historic properties. Nguyen, whose grandfather was the Ambassador to Japan from the French Government, was influenced by the values of both his father and his grandfather, both of whom instilled the belief, "You should live for your community. Your job is to build community." Nguyen says, "They did that with their lives. They led by example."